In 2003, Rachel graduated from Cambridge University with a degree in Biochemistry. Keen to combine her scientific education with her passion in life, cooking, she contacted Dr Hervé This, renowned food chemist and one of the founders of Molecular Gastronomy, and spent 10 months studying the science of potato salad in his laboratory. Rachel was fascinated by the concept of using science to inspire chefs and help them to create more novel dishes. As a result she decided to train as a chef herself, in order to understand the training that chefs receive and the challenges they face in a busy kitchen environment. In 2005, Blumenthal announced that he was co-sponsoring a PhD at Nottingham University on the Science of Cooking. Rachel won the place. For three years, Rachel created innovative flavour and texture experiences for Blumenthal to use in his restaurant, “The Fat Duck”. 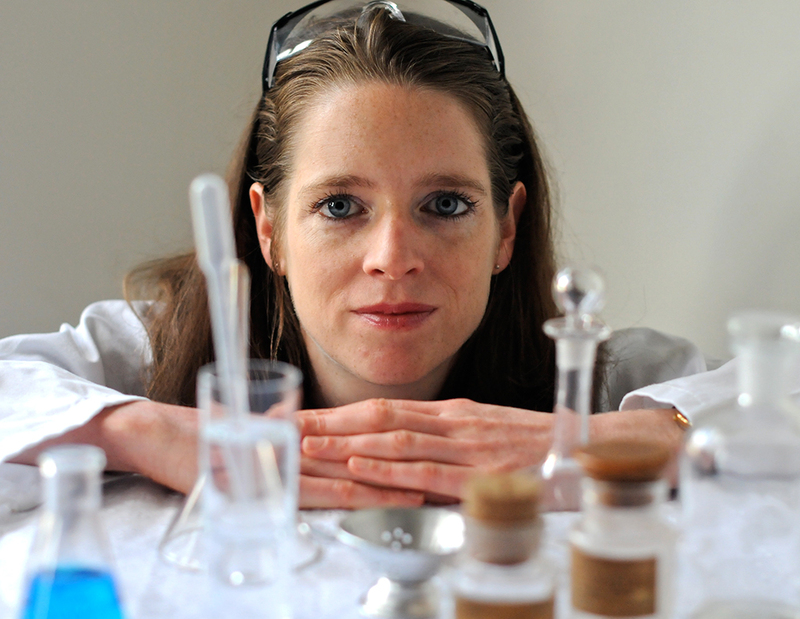 During the course of her PhD research, Rachel developed a particular interest in the science behind flavour perception, a topic on which she regularly lectures and gives demonstrations today. (Click here for Flavour perception courses and click here for Testimonials on previous events). Through all her experiences, Rachel came to understand how basic scientific knowledge is vital to chef training. Not only does it allow chefs to understand what is going on when food is cooked, helping them to control the cooking process better; it also offers opportunities to innovate with new methods, equipment and technologies, and understand in a scientific and systematic way how to experiment in the kitchen. While in Paris, she took a job at the Ecole Grégoire Ferrandi, one of the most prestigious chef schools, where she taught science to chefs and wrote a manual on Molecular Gastronomy. She also helped organise Seminars on the subject. Back in the UK, she continues to teach science to chefs at Westminster Kingsway College, on its Foundation Degree in Culinary Arts. She is now setting up a culinary laboratory in the school. In 2008, in order to expand her knowledge of the food industry, Rachel joined Sainsburys. She was soon given the responsibility for Sainsbury’s own-label range of gluten-free, wheat-free and dairy-free foods, where she led the technical development and launch of over a hundred products. Around this time, in response to the growing level of public interest in where food came from and how it was made, she co-founded the London Gastronomy Seminars, a series of open lectures that explain the more technical aspects behind food processing and ingredients, from cheddar cheese to chocolate. (See www.londongastronomyseminars.com). Rachel’s reputation has generated increasing demand for her to act as a consultant, with clients ranging from the 3* Michelin restaurant “LeDoyen” on the Champs d’Elysee; to the more unusual requests, such as the one from the culinary event curators Bompas & Parr, on flooding a building with 4 tonnes of Courvoisier Punch (Click here for consultancy). Rachel loves a food-science related challenge, and continues to consult on an ad-hoc basis. For more information, please contact Rachel.